Dakini Lounge marks Indo-Jazz innovator Prem Joshua's first encounter with DJ science. Here, an eclectic collection of cutting edge mixologists including Karsh Kale, Sean Dinsmore (The Dum Dum Project), Joi and Dharma Dogz (of Waterbone) shed new light on Prem Joshua's signature sound, translating his East-West alchemies into stunning dub, chill and dance floor masterworks. 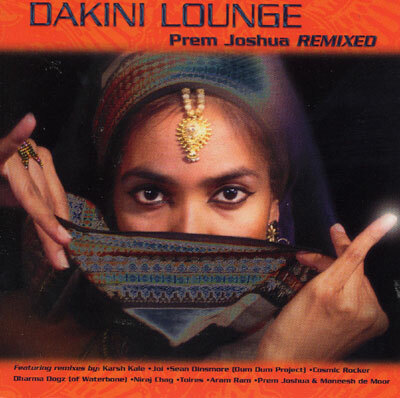 Dakini Lounge marks the next logical progression in Prem Joshua's storied career. Placing the master musician's songs in the able hands of these modern day studio mavens presents new interpretations and directions for the many listeners already in love with Prem Joshua's music while introducing him to an ever wider audience.